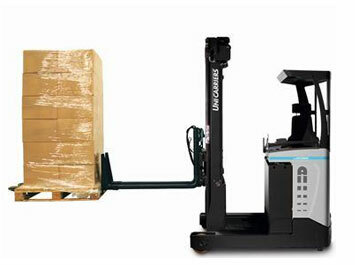 The UMS–TF is the perfect versatile partner in most operations for lift heights up to 8.950 metres. For even tougher tasks, there’s the robust UHD–TF that handles loads up 11.500 metres. Ergonomics are absolutely world-class. 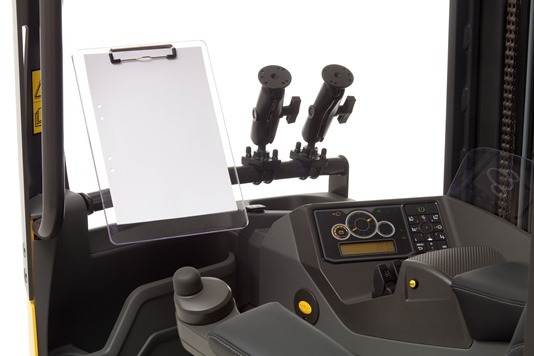 UniCarriers unique mini steering wheel with floating armrest, the multi-adaptable operator’s environment, intuitive controls, spacious cabin and hands-free directional control put the operator in control to maximise efficiency and safety. A wide range of extra equipment such as ASR – Active Spin Reduction, LAS – Level Assistance System, Ergologic operator interface, Fast Track battery change system, load wheel brakes, video camera and cold store cabin complement what are probably the world’s most personal reach trucks.